Silver Creek Folk just released their second EP, Long Road Home, and for anyone who owns the first one you will not be disappointed. For those who do not own the first EP, I urge you to pick up both immediately. What defines this new music is that it does not sound like the last EP. Most artists fall into that rhythm of repeating themselves. Well Silver Creek Folk just redefined themselves with 5 songs that are blazing a new trail for them to explore. The opening song, “Dawnsong”, is a high flying, raunchy and rocking tune. You can hear them trying out some musical tricks to keep the listener engaged. It feels at one point they maybe a little backward masking that was done so well by the Beatles many years ago. I like the fact that these musicians are will to borrow ideas from the past, but never abuse them, just have fun trying to get a grip on some past creativity. 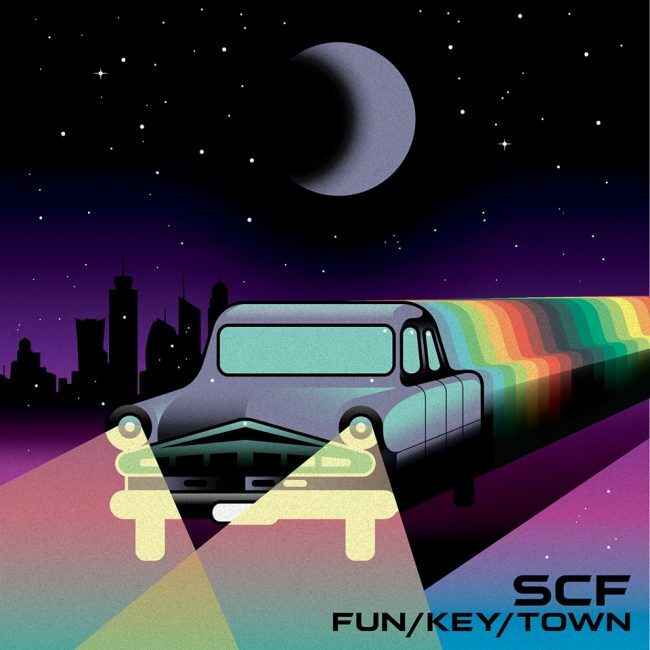 “Fun Key Town”. Has a laid back feel to it while you sway to the rhythm of the melodies. The harmonies work really well, not as a perfect blend of vocals, but you can hear the character of each singer’s timbre. This brings me back to listening to The Band and how they could accomplish that. This third song would make an excellent car tune. It is called, “Riding the Rain”, and it has a great driving force that would make a very mundane highway a fun place to be. It’s not quite radio friendly, and I like it that way, because I want to be a little selfish and keep them a secret for a little bit longer, and I know I am running out of time. This one kind of reminds me of Tom Petty meets Drivin’ and Cryin’. My only complaint is that it could have used a little more cowbell. When it comes to this band warping boundaries this next piece does just that. Their song, “Iron Eyes”, has a great psychedelic opening that seems to go into a recognizable version of the Black Sabbath song, “Paranoid”. As the band weaves itself through the song it shifts and changes into what I feel is a Black Sabbath meet Robin Trower experience. Simply, a really cool song. Well these trailblazers finish off this EP with an all out star studded cast of strong 1970’s sound moments. It was like a super group formed just for this song. There were droning sounds, sitar music, and a cast that could have consisted of The Allman Brothers, Bad Company, The Beatles, Eagles, and Gary Wright. This new epic piece is called, “Long way home”. I urge you to get this EP, based on this one song, it will be worth it. Silver Creek Folk have transposed to a new sound, but they are still playing centre field. They have not gone too far into left or right field, but stayed their ground and experimented with their new found fortitude to create an abundance of new creative energy for the audience to experience.